Xiaomi Redmi Note 7 could launch on January 10 as the phone has been spotted on the device testing platform Geekbench. According to the Geekbench listing, the smartphone will be driven by the Snapdragon 660 SoC. Earlier, leaks had suggested that Redmi 7 or a Redmi Pro 2 would launch on January 10 but the fresh leaks suggest that the Redmi Note 7 may be made public on Thursday. The Geekbench listing talks about the smartphone with a single-core score of 1,462 and a multi-core score of 4,556. The phone will come with Android Pie with MIUI 10 on top. The Snapdragon 660 is an octa-core processor and the phone come witgh 6GB of RAM. 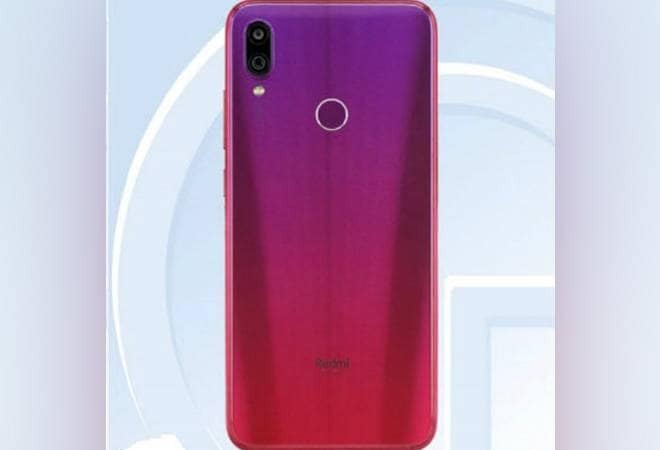 The Xiaomi Redmi Note 7 is expected to have a water-drop notch with a vertically placed dual rear camera. The gradient back finish gives the phone a premium look. Furthermore, the leaks suggest that the smartphone will arrive in three colour options - Black, Blue, and Pink. The smartphone is also expected to have a 48 MP camera. Meanwhile, according to the latest announcement, Redmi will now be an independent brand that will focus on pricing and being an online exclusive brand. Redmi Note 7 with its 660 SoC is more powerful than its forerunner(s) - Redmi Note 6 Pro and Redmi Note 5 Pro - which are both driven by Qualcomm Snapdragon 636.